Disaster recovery- A disaster is a risk that always looms large, whether it is natural or manmade. Fire, flood, earthquakes or other destructive phenomenacan seriously affect your business by causing a major disaster for your paper documents. Document imaging enables you to recover precious documents with a simple click by offering you to have a safe repository of your data which can also be shared on cloud or your local document management system. Stay Competitive- From multinational firms to small organization, digitization has been the mantra of the new age document management. Document digitization efforts have repaid businesses in reduced costs, efficient workflows and satisfied customers. Environmentally friendly- Document Imaging and overall document digitizing process reduces the carbon footprint of your organization and adds to your green credits and is an environment-friendly initiative. It removes the needs of creating multiple backup copies and unnecessary printing, increasing the eco-friendly quotient of your company. 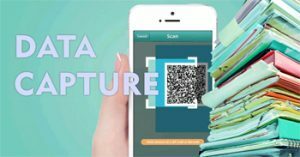 Digital Transformation – Image scanning is a first step in building a digital transformation plan. Early adoption is the key for organizations to ensure digital success and focus on cost savings and standardization. Document Imaging is touted as the first step towards digitization by the business leaders of today. When implemented accurately, your company can see patterns of benefits with respect to cost and efficiency across various verticals in the organization. Investment in Document imaging promises many advantages and an exceptional ROI when going paperless.